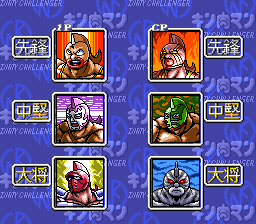 Kinnikuman Muscle Grand Prix Max put the Kinnikuman game series to a new level. 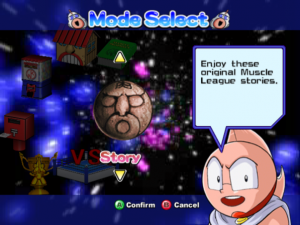 Now, the game includes 33 characters from the anime (the highest to this point for a Kinnikuman game), including those who appear in the Second Generation (basically, the sons of the main characters). Also, the scenarios and its music themes will be easily recognizable for those who watched the anime series. The movements of the characters are not a simulation of a real life wrestling fight, and in fact many characters do not even look human (you will find characters who are, literally, a "W.C. man", a "spring man", an Egyptian-looking guy with 6 arms, among other picturesque ones). The special attacks of these characters are a mix of acrobatic and very spectacular movements, just like in the anime cartoons. 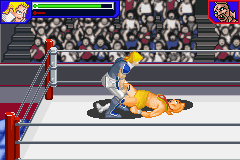 There is also a Tension Meter, which will indicate the ideal moment to execute a special attack.